wife: but it's purple. and it glows in the dark. it would look great on stage. Alnus Rubra, Ovibos, Boogie and 16 others like this. My wife is trying to get me to buy something too, but just like you I’m not suffering from GAS pains either. Where was this support when I really needed it?!?! Boogie, bodia, LSchefman and 5 others like this. What are you waiting for and where are the pictures !!!!!!! Alnus Rubra, Rusty Chos, jjhookemup and 4 others like this. Every once a while, you strike the lottery. Ovibos, Rusty Chos, jjhookemup and 2 others like this. She sounds like an extremely intelligent woman, you really should listen to her. Alnus Rubra, Rusty Chos, Boogie and 4 others like this. I'm really, really, really, really (get it?) surprised that this one isn't ordered yet. I mean... She said go for it! Sounds like a winner! Rusty Chos, jjhookemup, LSchefman and 1 other person like this. While your wife may be sincerely interested in enabling your guitar purchase, I'd be forthright with her and ask her if there were something she also had her eye on. And next time you take your wife out to dinner at night, ask her if she likes how the car in front of you looks. "Oooo! A BMW! that would look great in our garage..."
jjhookemup and dogrocketp like this. You are seriously overthinking things when you've been given a free pass! Rusty Chos, Boogie and LSchefman like this. tyfu20, Alnus Rubra, Boogie and 4 others like this. Alnus Rubra, Boogie, Bowtiefanatc and 5 others like this. Beat me to it. If you do it you are sure to NEVER repeat! Use this green light for whatever YOU want. It's an IOU card IMHO. 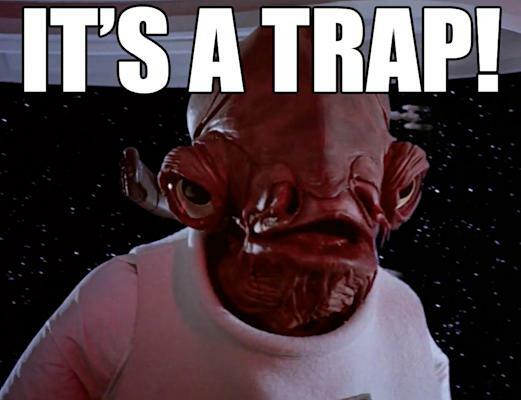 It is a trap, but there is a new PRS in the deal so just go along with it. NGD post tomorrow? Rusty Chos, Boogie, dogrocketp and 2 others like this. I’ve been married a long time. However, JohnPRS does make a good point. You get a new guitar, so take the beating. JohnPRS, Boogie, jjhookemup and 2 others like this. I don’t think assuming someone’s devious is justified. Women can’t be lumped into bizarre stereotyped Eve categories. But I’d sure as hell get the guitar while the gettin’ is good! Ovibos, Rusty Chos, dogrocketp and 3 others like this. Alnus Rubra, Rusty Chos, dogrocketp and 1 other person like this. I say ignore the cynical responses; get the guitar and reciprocate down the road. "That's amore". Rusty Chos, sergiodeblanc and jjhookemup like this. “Snap out of it!”...(a hand slaps your face) Are you crazy...do it! Many of us would kill to have a wife encourage a new guitar buy. I would try my best to love it. Alnus Rubra, dogrocketp, LSchefman and 1 other person like this. Tonart, LSchefman and dogrocketp like this.